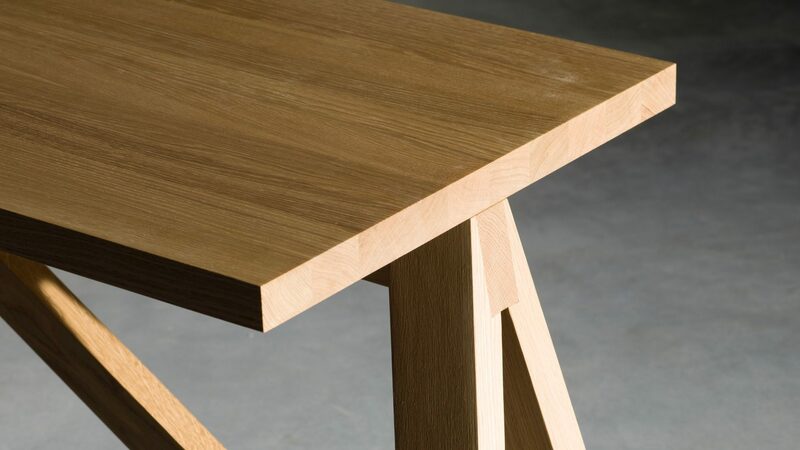 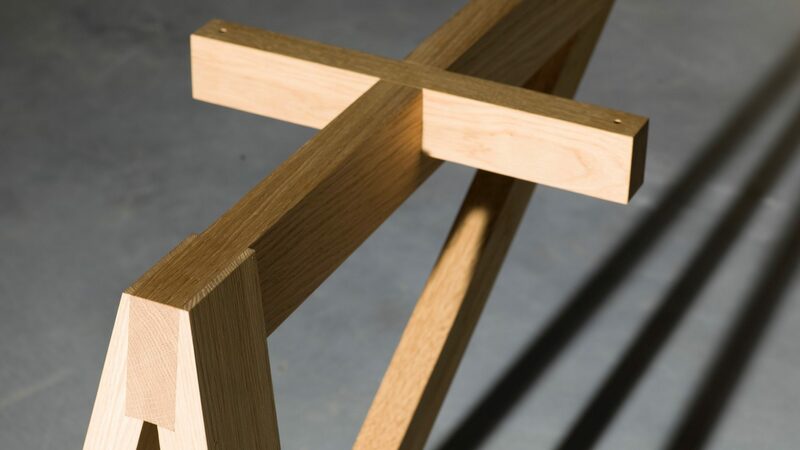 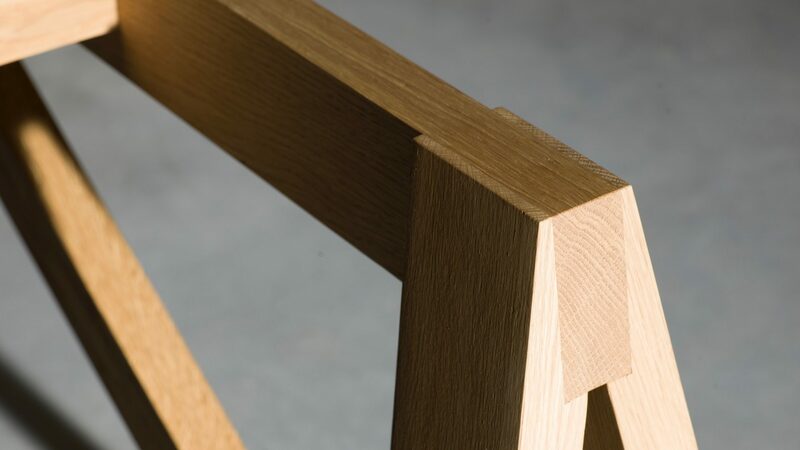 A wide trestle supports a rectangular tabletop in massive oak, finished with natural oil. 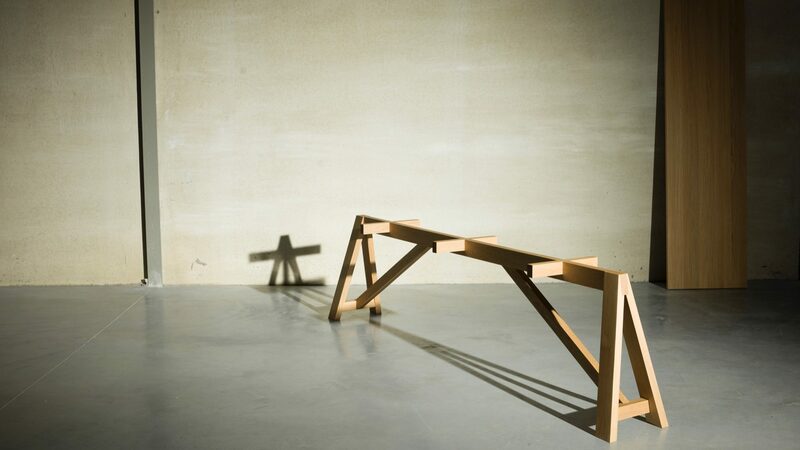 Together they form the simplest form of table. 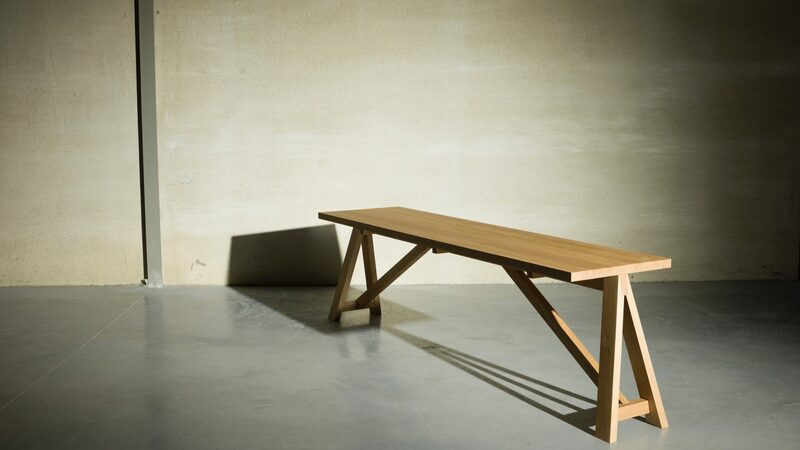 But the magnificent solid finish, the wooden grain running lengthwise of the table, turn it into a magnificent piece of furniture.